The robust, water repellent Leukoplast Strong Professional Plasters Assorted Sizes (Pack of 20) offers long lasting protection for cuts, grazes, wounds and lacerations. Permeable to air and water vapour, the highly durable plasters are suitable for a multitude of uses. Leukoplast's strong adhesive makes sure your plaster remains in place offering long lasting protection and a secure fit. 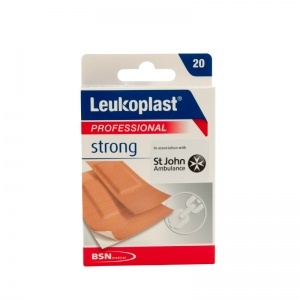 Sold in a pack of 20, a single pack of Leukoplast Strong Professional Plasters offers to provide numerous and repeated dressings for cuts, grazes, lacerations and abrasions. The robust and durable nature of Leukoplast Strong Plasters means they are ideal for the active individual. The water repellent design utilises strong adhesive to retain integrity and a comfortable fit. The robust and highly breathable Leukoplast Strong Plasters offer resilience and adaptability in a variety of functions. 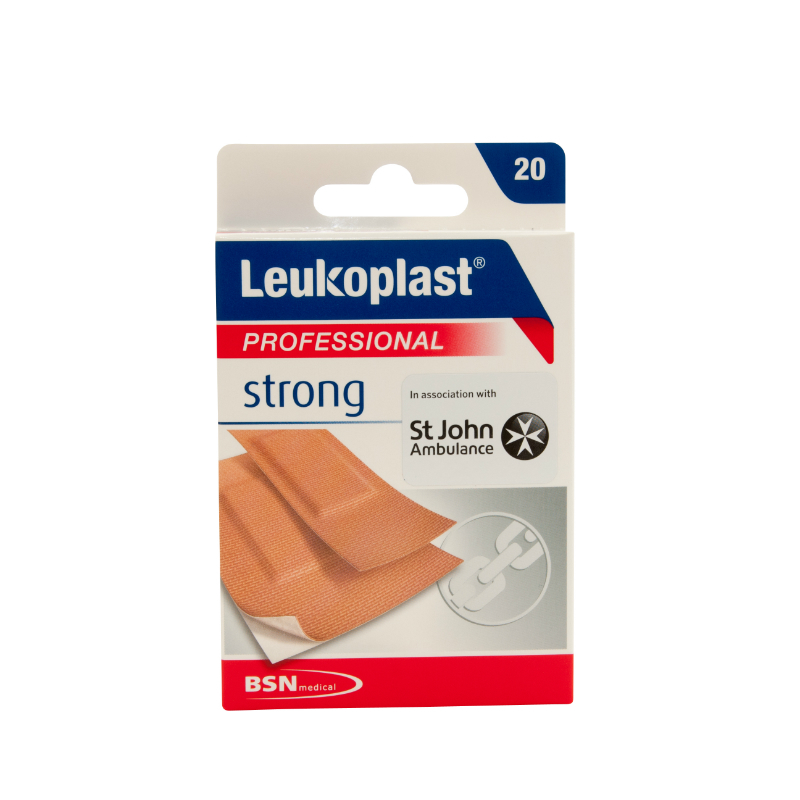 Durable in a range of settings from the home, to work, to the garden, Leukoplast Strong Plasters are a useful addition to any first aid set. The Leukoplast Strong Professional Plasters Assorted Sizes (Pack of 20) are usually dispatched via First Class Royal Mail and delivery should be within 1 to 3 working days.